All of us are aware of how important getting enough vitamins is for our overall health and well being. But did you also know that there are many vitamins which help keep ageing at bay? In my quest to keeping you young on the inside and out, I thought I’d compile a top 20 of what I consider to be the essential vitamins and minerals. After all what you look like on the outside is often a reflection of what is going on inside. I must also stress a healthy diet and exercise, and the importance of drinking at least 6-8 glasses of water daily, not only help to keep skin, mind and body at optimum levels of health and vitality, but to also enhance benefits of a correct vitamin regime. No vitamin regime should be undertaken without consulting a doctor or healthcare professional especially if you require regular medication as there could be some contraindications with supplements (i.e. interference with certain drugs). Visit http://www.beautybusinessnews.com/2013/04/the-anti-ageing-army-top-20-vitamins/ to read the first part. These berries have been used for thousands of years by Chinese herbalists, and have also gained some notoriety in recent years. Goji berries possess powerful antioxidant properties, as well as being high in caronoids and amino acids–all of which you and your overall health can benefit from. Is a naturally occurring compound found in the skin of red grapes, blueberries and red wine. It acts like a antibiotic, working to cleanse the body of contaminates, and by fighting off cell attacking evil free radicals, it serves as a superhero anti-oxidant. It is thought to improve the skin elasticity, thereby keeping it looking fresh and healthy. One tablet is equivalent to six glasses of a good red wine– so you can get all of the benefits without the hangover. As a potent free radical scavenger, rich in flavonoids, and apparently more powerful than vitamin E and C combined, grape seed extract is a little known marvel. It improves circulation by inhibiting the destruction of collagen, which is needed by the cell membranes in order to stay healthy. This complex is a blend of eight types of B vitamins, those being: B1,B2,B3,B4,B5,B6,B7,B9,B12. B vitamins are water soluble and play an important role in cell renewal and metabolism. Take B3 (Niacin) for example, it has several anti-ageing properties. It helps the skin to retain moisture, which is vital as dryer skin is more vulnerable to ageing. Niacin also promotes cell renewal by encouraging a natural form of exfoliation, thus giving the skin a healthy glow. The benefits of the other B vitamins are too numerous to mention. So, in short, I would simply say this should be a definite addition to your anti-ageing armoury. Is an extremely powerful antioxidant and plays a pivotal role in protecting the body against damage from free radicals. 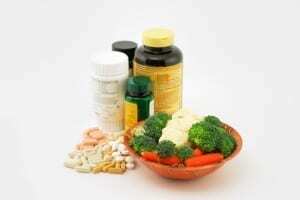 Beta-carotene supplements are sometimes also known as pro-vitamin A (a real buzz word in the anti-ageing world). The body converts beta-carotene into retinol, an active form of vitamin A, and this aids in repairing skin and promoting a youthful appearance. With numerous years of experience in the beauty industry, I worship at the altar of all things beauty and skincare related. Currently living in Canada, yet returning to the UK in 2014, I intend to continue with my career in the cosmetics, health, and beauty industry. I'm devoted to following and sharing new skincare and treatment trends. I am passionate about learning to love the person you are and making the most of the skin you're in.